You’re at the gym and inspired by all the hard bodies around you, you work hard putting in the extra reps and sets. You’ve been doing this for some time now, and though there are changes to your body, it seems that you’re still nowhere near the physique you desire. The stubborn fats seemed determined to cling on despite all your hard work and effort. Most of us experience areas of fat that are resistant to diet and exercise, and it can be frustrating when nothing seems to shift these stubborn fatty deposits. Fat removal treatments can offer a fast and effective way to eliminate fat. Amaris B. Clinic is an established aesthetic practice since 2005, and our strength lies in body sculpting. We offer a range of contouring and fat reduction treatments including Liposuction. Liposuction literally means sucking (suction) away the fat (lipo) and is designed to target excess fat tissues resistant to dieting and exercise. It reduces the number of fat cells in the isolated area. Liposuction can be used to treat conditions such as lymphedema, gynecomastia, lipodystrophy syndrome and lipomas. Which part of the face or body can liposuction be performed on? Liposuction can be performed on multiple body areas. These include the chest, arms, waist, hips, stomach, back, buttocks, and thighs - provided that the candidate is suitable for the treatment. The ideal candidate for liposuction should be of average weight, with firm elastic skin and has pockets of excess fat tissues. Small, blunt-tipped tubes (cannula) are inserted through tiny insertions in the skin during treatment. The cannula suctions excess fat out as it is being moved around under the skin targetting specific fat deposits. Liposuction treatment is done under local anaesthetic. Depending on the number of areas to be treated, the treatment generally takes between 1 to 3 hours. You can expect some swelling on the treated areas, and it may take 3 to 6 months for the final results to set in. During the consultation, our doctor will discuss in details with you on expected results, before the procedure as well as throughout the aftercare appointments. DO SKIN THICKNESS AND ELASTICITY PLAY A PART IN LIPOSUCTION? The ideal candidate for liposuction should, among other things, possess firm elastic skin and pockets of excess fat tissues. WHAT QUESTIONS SHOULD I ASK BEFORE CHOOSING A LIPOSUCTION Doctor? Personal comfort and assurance are utmost important so make sure that the doctor is able to answer and address all your queries and alleviate your concerns. WHAT KIND OF QUALIFICATIONS SHOULD A LIPOSUCTION DOCTOR HAVE? Regardless of speciality, doctors who would like to perform liposuction have to be accredited by Ministry Of Health Singapore. Although liposuction results in substantial improvements, it is not a solution for weight loss or obesity. Although liposuction can provide very substantial improvement, it is not a weight loss technique or a solution for obesity. It is also not recommended for those with excessive or bulging areas of skin. DOES LIPOSUCTION PRODUCES VISIBLE SCARS? 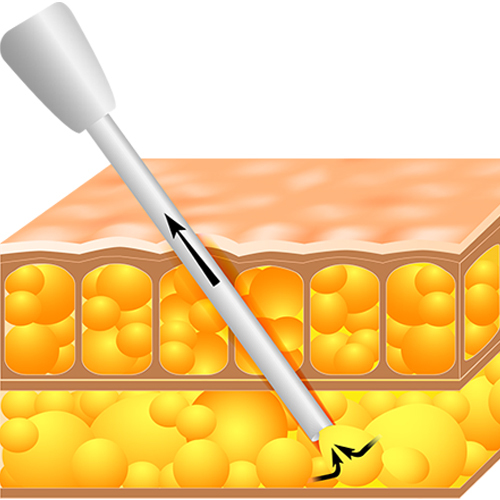 Modern liposuction technique uses very small cannulas, which requires only small incisions to be made. As a result, scarring is minimal and will improve with time. We carefully assess your clinical condition and tailor the treatment to your expectations. Call us and book your consultation for a more defined physique today.